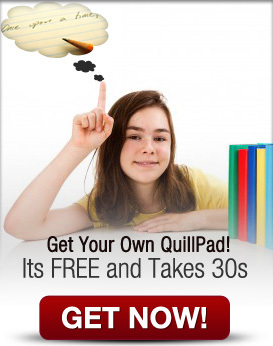 Welcome to Quillpad.org! Are you having some trouble with writing? Do you like writing and want to improve it? Or do you want to find a way to make writing easy and fun? Well then you’re at the ‘write’ place! 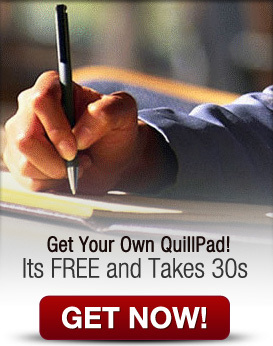 Here at Quillpad.org, you can improve your writing skills, make it fun and easy or if you’re someone that enjoys writing, you can make your writing better! We have actual authors who contribute different techniques that they have adopted or created themselves to make writing more fun and creative. We also have many different online resources, the hottest books to read, new words to improve your vocab and much more. Get a free account and watch your writing fly high! We would love for you to help us in this journey! Here are a few ways you can help (please drop us a note if you have ideas!).. 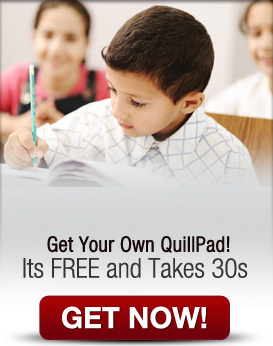 Tell us how you are using quillpad in your classroom!